Woodville is located just south of Tallahassee in Leon County on the way to the Gulf Coast. It is best known for the Civil War battle of Natural Bridge fought in 1865. With a hot, humid climate, maintaining the integrity of any roof, whether newer construction or an older home or business, you can always rely on the professionals of Bowles Roofing for all your roof repair needs in Woodville. When you are looking for a roofing contractor for roof repair services in North or Central Florida, Bowles Roofing is the place to call. Bowles Roofing is a licensed, bonded and insured roofing company which has been providing roof repair services to residents and businesses in Florida since 1984. No one really plans or knows when roof repair services will be needed, but we all know that there may come a time when we will need to contact a roofer. When choosing a roofing company to handle your roofing needs it is best to choose a company that is experienced, reliable and trustworthy. Bowles Roofing has over 30 years of experience and expertise in the roofing industry. We have compiled a long list of residential and commercial clients throughout all of our service areas. As you are driving through your community you have probably seen some completed projects of our workmanship on homes or business structures. Our commercial roofing clients include businesses such as restaurants, fast food chains, schools, colleges, churches, daycare centers, service stations, auto repair shops, barber shops, condominiums, townhouses, apartments, medical offices and more. When it comes to our clients, customer satisfaction is a top priority. We pride ourselves in providing quality roof repair at an affordable price. 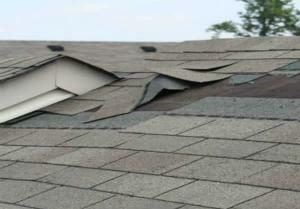 We also offer limited warranties on all of our roof repair services. 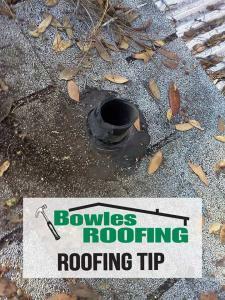 Call Bowles Roofing today and schedule your appointment for your free estimate.